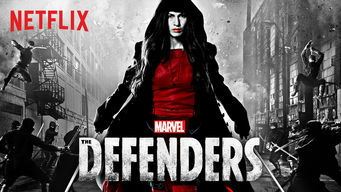 How to watch Marvel's The Defenders: Limited Series (2017) on Netflix South Africa! Yes, Marvel's The Defenders: Limited Series is now available on South African Netflix. It arrived for online streaming on October 4, 2017. We'll keep checking Netflix South Africa for Marvel's The Defenders: Limited Series, and this page will be updated with any changes. Daredevil, Jessica Jones, Luke Cage and Iron Fist join forces to take on common enemies as a sinister conspiracy threatens New York City. They're not friends. But these four New Yorkers will fight as one to save the city they love. Limited Series of Marvel's The Defenders has 8 episodes. Because different Netflix countries have different availability for episodes, you'll need to check the episode listing below to see which are available in South Africa. Matt Murdock, Jessica Jones, Luke Cage and Danny Rand investigate criminals and fight injustice, unaware their paths are about to cross. As a new conspiracy takes shape, Matt finds old habits are hard to break, Jessica gets in over her head, Luke tracks a lead, and Danny meets his match. Elektra's secrets are revealed. Danny changes his tactics. Matt gives Jessica some legal advice. Luke searches for the White Hat. As the Defenders get to know each other over dinner, they're greeted by a series of party crashers -- none of them friendly. 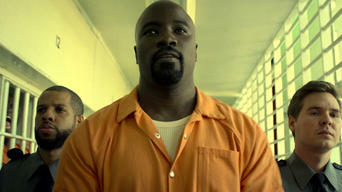 Elektra's loyalties are questioned, Colleen clashes with an old acquaintance, and Luke proves he knows how to take a hit. Stick offers up a theory, Danny finds himself sidelined, and Alexandra learns that it's not easy being the leader.